OMG! First commenter! 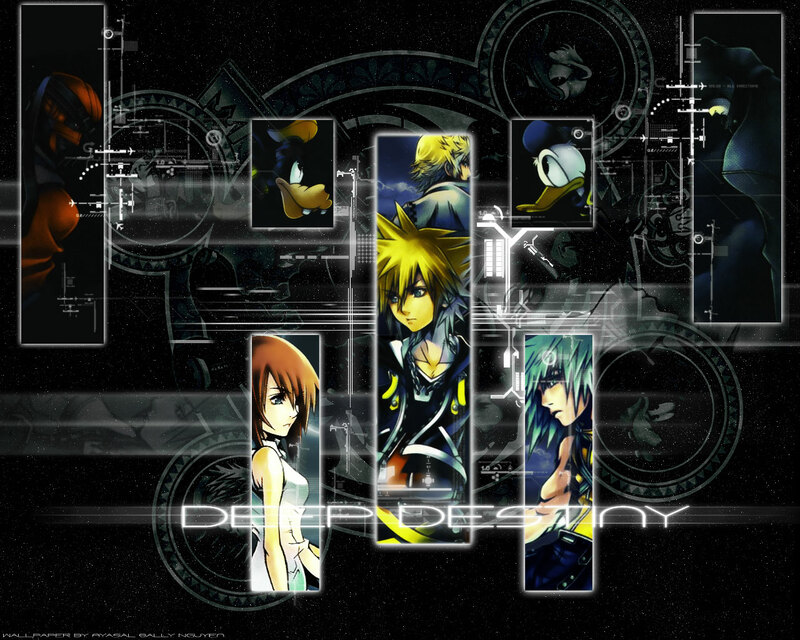 Well, I love Kingdom Hearts! All of the designs and stuff look amazing Like always! woah this is awesome x333 wut font did u use on this? Quote by BankotsuInuyashasgirlwoah this is awesome x333 wut font did u use on this? I used the font "worldnet"
hey, nice! but i wished that you've enlarged donald and goofy's picture though, because they don't have much focus. Quote by julian1hey, nice! but i wished that you've enlarged donald and goofy's picture though, because they don't have much focus. wow! very techy look! love those lines + the scans! The artwork you chose for Sora, Riku and Kairi are perfect. I like the fact that Cid is behind Sora, makes him look cool ^^. The circle style background with the character portraits fits the mood. I tend to prefer dark wallpapers, so to make things simple, this wallpaper is beyond great!